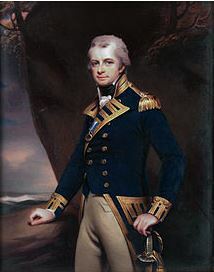 1) (Baron Lavington; extinct 1807). Gu. a fess betw. two lions pass. ar. Crest—A lion’s gamb erased ar. grasping a broken tilling lance gu. Supporters—Dexter, Fortitude: represented by a woman ppr. vested in yellow, over which a loose robe purp. with a red scarf depending from her waist, sandals on her feet az. fastened or, holding in her sinister hand an oak branch, the arm resting on a column ppr. ; sinister. Justice, vested az. robed gu. sandals as before, holding in her dexter hand a pair of scales or, in the sinister a sword erect ppr. hilt and pommel of the third. Motto—Malo mori quam foedari. 2) (St. Christopher’s and Blunham House, co. Bedford, bart.). Gu. a fesse betw. two lions pass. ar. Crest—A lion’s gamb erased and erect ar. grasping a broken tilting spear gu. Motto—Malo mori quam foelari. 3) (Wallingford, co. Berks; confirmed 12 Jan. 1586, and of London). Or, on a bend engr. betw. two cotises sa. three roses of the first. Crest—A demi ostrich wings endorsed ar. in the beak a key or. 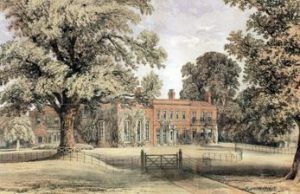 4) (Tempsford House, South Kensington, co. Middlesex; borne by Colonel J. Bertrand Payen-Payne, descended from Stephen Payn vel Payne, a colonel of horse, in the service of Charles I and II, who, with his elder brother Abraham, migrated from Jersey to co. Devon at the period of the Great Rebellion). Gu. on a fesse betw. two lions pass. ar. Crest—A lion’s gamb couped ar. grasping a broken tilting lance, the spear end pendent gu. Motto—Malo mon quam foedari. Quartering, Payn, of Jersey, Paten, of Normandy, de Barentine, de Carteret, d’Albini, de St. Martin, Spare, Sarre, Lempriere, Bras-de-fer, le Roulx, Morin, le Febvre, and Langlois. 5) (co. Denbigh, and Westbrooke, co. Dorset). Per bend or and az. six roundles counterchanged, two, two, and two. Crest—A leopard’s head or, gorged with a collar az. rimmed gold, charged with three bezants. 6) (Mayor of Norwich, granted 1 Sept. 1660, by Walker, Garter). Sa. a fess ragulée betw. three lions’ gambs erased or, armed gu. Crest—A lion’s gamb or, holding a baton ragulée or. 7) (co. Dorset, and Medborne, co. Leicester). Paly of six or and az. a chief erm. Crest—Out of a ducal coronet or, a woman’s head couped below the shoulders ppr. vested erm. her hair dishevelled of the first, on her head a chapeau az. 8) (co. Hereford). Paly of eight or and az. a chief erm. 9) (Midlow, St. Neot’s, co. Huntington). Az. a bend ragulée betw. six estoiles or. Crest—In grass vert, an otter pass, or, in the mouth a fish ar. 10) (Great Marlow, co. Huntington). Or, on a chief indented sa. three cinquefoils of the first. 11) (Market Bosworth, co. Leicester, and Paine, co. Suffolk). Ar. on a fesse engr. gu. betw. three martlets sa. as many mascles or, all within a bordure engr. 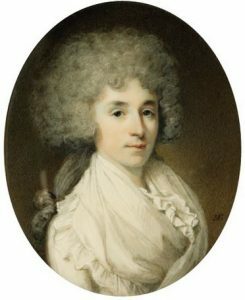 of the second, bezantée. Crest—A wolf’s bead erased az. charged with five bezants saltireways. 12) (cos. Lincoln and Stafford). Gyronny of four ar. and sa. four lions ramp. counterchanged. 13) (London, and co. Berks; confirmed by Cooke, Clarenceux, 1536). Sa. a fesse betw. three leopards’ faces or. Crest—A dexter arm embowed in armour ar. holding a sword ppr. hilt and pommel or, enfiled with a boar’s head sa. vulned gu. 14) (London). Ar. a chev. gu. betw. three griffins’s head erased sa. 15) (St. Mary-le-bone, co. Middlesex; granted 1770). Gu. a fesse betw. two lions pass. ar., quartering, Az. a cross sarcelly or, betw. four crosses crosslet fitchée ar., for Carlisle. Crest—A lion’s gamb erect and erased ar. holding a tilting spear rompu gu. Motto—Malo mori quam foedari. 16) (Fulham, co. Middlesex). Ar. on a fesse engr. gu. betw. three martlets sa. as many cinquefoils of the first. Crest—A griffin pass. wings endorsed, or. 17) or Paine (Dunham, co. Norfolk). Vert, a fesse betw. three leopards’ faces or. Crest—An ostrich’s head or, issuing out of a plume of feathers ar. 18) (lttringham, co. Norfolk). Ar. a chev. vair, betw. three lions ramp. az. Crest—An ostrich’s head erased or, betw. two wings expanded sa. in the beak a horseshoe of the last. 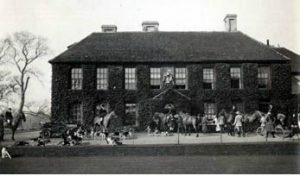 19) (Sulby Hall, co. Northampton). Same Arms, &c.
20) (granted 1826 to Henry Payne, Esq., Newark, co. Leicester). Ermines on a pile or, three martlets sa. over all a fesse engr. gu. charged with as many mascles of the second. Crest—An heraldic tiger sejant per pale engr. az. and erm. surmounting a branch of oak fructed ppr. the dexter forepaw resting on a mascle gu. 21) (Rowdham, co. Norfolk). Ar. on a fesse gu. betw. three martlets sa. as many mascles or. 22) (co. Somerset). Gu. three crosses botonnée ar. on a chief az. two escallops or. 23) (Stoke Neyland, co. Suffolk). Sa. a fesse chequy or and az. betw. three leopards’ faces of the second. Creat— An armed arm embowed and gauntleted or, holding a leopard’s face of the last. 24) (East Grinstead, and of Newick, co. Sussex; granted 25 Feb. 1661). Per fesse sa. and ar. two lions pass. counterchanged, armed and langued gu. Creat—A lion’s head erased per fesse sa. and ar. 25) (Petworth, co. Sussex). Ar. on a fesse engr. gu. betw. three martlets sa. as many roses erm. Creat—A griffin pass. wings endorsed per pale or and az. 26) (granted 19 May, 1575). Per bend or and az. three (another, six) roundles counterchanged, two and one. Crest—A lion’s head erased ppr. ducally gorged, lined, and ringed or, holding in the mouth a sprig of laurel vert. 27) Gu. a lion ramp. or, debruised by a bend ar. charged with three crosses pattée sa. Creat—A lion’s gamb holding a cross pattée sa. 28) Or, three hurts, on a chief embattled az. as many bezants. Crest—An ostrich head couped or, betw. two wings sa. 29) Ar. on a bend gu. betw. a lion’s head cabossed in chief and an eagle’s leg couped a-la-quise holding a torteau in base ppr. three arrows or. Crest—A demi man couped at the loins in profile holding in the dexter hand an arrow. 30) Vert, a fesse betw. three leopards’ faces or. Crest—Out of a plume of ostrich feathers a leopard’s head or. 31) Per saltire ar. and sa. a lion ramp. Counterchanged. 32) Per bend or and sa. eight plates in orle, each charged with a torteau. 33) Ar. a bend az. (another, sa.). 34) Ar. a chev. barruly az. and of the first, betw. three lions ramp. of the second. 35) Quarterly, az. and gu., in the first a lion ramp. ar. tail forked, on the second a cross flory or. 36) Or, a chev. vair betw. three lions ramp. az. 37) (Hutton, co.. Somerset). Gu. three cross crosslets or. 38) (Baron Fitz-Payne, summoned to Parliament, 1299; abeyance, 1354). Gu. three lions pass. guard. in pale ar. over all a bend az. 39) Ar. a hawk’s lure gu. 40) (Chereton Fitz-Payne; the heiress m. Austill, co. Devon). Ar. two wings conjoined gu. 41) (co. Gloucester). Gu. two lions pass. in pale ar. over all a bend az. (another gobonated or and az.). 42) Barry of six ar. and az. a bend gu. 43) alias Gybon (confirmed 24 Nov. 1570). Gu. a lion ramp. or, debruised by a bend ar. charged with three crosses flory sa. 44) Ar. three trefoils slipped sa. 45) Ar. on a cross wavy vert five plates. 46) (Seigneurs of Oulande, la Godcliére, Samarés, Ponterin, Montfort, Dielament, le Chaslelet, Payn, Grainville, Quetivel, la Fosse, les Niesmez, &c., Jersey; descended from Thibault Payen, Count of Gisors, whose son, Hugh Payen, gave by Charter, circa. 1200, the original of which now exists in the departmental Archives at St. Lo, Normandy, six quarters of wheat rent, derived from his lands in Jersey, to the Abbot of Saint Mary, near Cherbourg. From this Hugh Payen, who was Valvasor of the king of England, and jurat of his royal court there, scarcely a generation of the family has existed without having a representative on the local bench. At the period of the Great Rebellion, Abraham and Stephen Payn vel Payne, being ardent Royalists, migrated to co. Devon, and founded families still existing in England). Ar. three trefoils slipped sa. Crest—A woman s head couped below the shoulders, vested az. turned up ar. face ppr. hair or, on her head an antique crown of the last. Motto—Playsyr vaut Payn. Supporters—Two angels ppr. 47) Paly of six ar. and vert, on a chief az. three garbs or. Crest—A lion ramp. ppr. supporting a wheat sheaf or. 48) (Ireland; Fun. Ent. Ulster’s Office, 1652, the wife of Captain Paine, b. at St. Patrick’s, Dublin). Per saltire ar. and sa. a lion ramp. counterchanged, quartering Ar. a chev. betw. three martlets sa., for Madeson. This is a baptismal or patronymic surname meaning “the son of Pagan”, an old personal (first) name, the reducing form of this masculine given name being Payne or Pain. It was a surname that came into England from Normandy, France at the era of the Norman Conquest of 1066 AD. The name may ultimately be of Roman origin, deriving from the Latin paganus, meaning a person who lived in the countryside (or was a heathen). The word later morphed into the Old French paien. Its use as a personal name began to wane during the 1500s AD, but it’s a very common surname throughout the English speaking world. It may have referred to the rudeness or backwardness of the bearer, similar to the development of the surname Savage or Wildman. In the Doric dialect in Italy, the name signifies a fountain, and a rural neighborhood who frequented the same fountain for water (similar to a town square or well). One author derives it from paon, the French word for peacock. One source also asserts this is a locational/habitational name deriving from a locale in Normandy, France called Payne.The family owned land in East Grinstead, county Sussex, England where they were established for several centuries. Some spelling variants or names with similar etymologies include Payn, Pain, Paine, Paynee, Paynne, and Fitz-Payne. Similar foreign names include Peini (Norse), Pein/PenertPinn (German), Pain/Peigne/Pineau (French), Payen/Pien (Flemish), and Pen/Penn (Dutch). The last name Payne ranks 183rd in popularity in the United Status as of the 2000 Census. The name ranks particularly high in the following five states: Virginia, Tennessee, Kentucky, Oklahoma, and Alabama. The surname Payne frequency/commonness ranks as follows in the British Isles: England (128th), Scotland (428th), Wales (103th), Ireland (1,032nd) and Northern Ireland (823rd). In England, it ranks highest in county Bedfordshire. In Scotland, the surname Payne ranks highest in Kirkcudbrightshire. In Wales, it ranks highest in Monmouthshire. In Ireland, it ranks highest in Queen’s County. In Northern Ireland, it ranks highest in Londonderry. The name is also present throughout the remainder English speaking world: Canada (366th), New Zealand (176th), Australia (159th), and South Africa (633rd). The 1890 book Homes of Family Names by H.B. Guppy, states the following in regard to this surname: “Payne,Paine,Pain. —Excepting Lincolnshire, where it is but scantily represented, the different forms of this name do not occur in England north of a line drawn west from the Wash. It however, remarkable that a colony of Paynes has been established across the Scottish border in Dumfriesshire. They are rare or absent in the south – western counties and in the western midlands, excluding Herefordshire; and are mostly crowded together in the south – eastern quarter of England, especially in Essex, Kent, Sussex, Hants, Cambridgeshire, and Bucks. Lower, following other authorities, derives this name from Paganus or Paganel, a common Norman personal name, which during the Norman dynasty assumed the forms of Pagan, Paynel, Payen, and Pain, and was then one of the commonest names in England. In the 13th century it was well represented as Pain and Payn in Cambridgeshire, Oxfordshire, and Suffolk, and as Payn alone in Norfolk (Hundred Rolls), so that it would seem that Lower’s statement that the Norfolk Paynes have kept together in that county since the 15th century does not go far enough. We learn also from the same source that one of the greatest colonies of the Paynes is at East Grinstead, in Sussex, where for several centuries they have been very abundant. The permanence of this name in the south – east quarter of England is especially noteworthy. It was numerous six centuries ago in counties where it is still established, namely, Cambridgeshire, Suffolk, Norfolk, and probably also Sussex. For an ingenious explanation of the origin of this name through Paynel, Paganel, and Pagan I. must refer the reader to an extensive footnote in Chapter XXI. of Gibbon’s Roman Empire”. The Domesday Book of 1086 AD, a survey of England and Wales ordered by William the Conqueror, lists a one Edmund filius (son of) Pagen in county Somerset. A Reginoldus filius Pain, a member of the Knights Templars in the Crusades, was documented in the Register of Lincolnshire in 1185 AD. Jone Pane was recorded in Worcester in 1190 AD and Stephen Paynes was listed in the Patent Rolls of 1230 AD in London. The Hundred Rolls of 1273 AD, a census of Wales and England, known in Latin as Rotuli Hundredorum lists two bearers of this surname: Robert filius (son of) Payn (Huntingdonshire) and Glibert Payn (Essex). Elis le Fitz-Payn was documented in the Writs of Parliament in 1297 AD. Thomas Payn was recorded in county Somerset in 1327 AD in Kirby’s Quest. An early baptism involving this surname was Susanna Pain, daughter of Robert and Elisabeth, at the parish of St. Michael’s, Barbados in the Caribbean in 1678. Tybaud the Moor Gardille de Payen (born around 1012 in Normany, France). John Payne (born in Frittenden in 1613). This John went to colonial America. He married several times and had issue named Robert, Ralph, Richard, Margaret, Elizabeth, John, George, William, William, George, and John. He died in Rappahannock Virginia in January of 1689. William Payne II (born in Westmoreland County, Virginia in 1692). 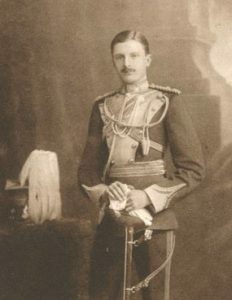 William married Alicia Jones and Ann Jennings, having four children: Ann (Lewis), William, Edward, and John. 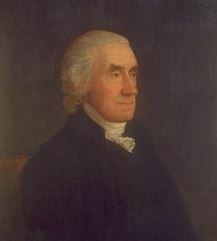 His son William was born in Westmoreland, Virginia in 1724. He married Susannah Clarke and had issue with her: Alicia (Cooke or Cocke), William IV, Mary (Bayly), Abigail Ann (Ayers), Duval, and John. His Duval Payne was born in Fairfax, VA in 1764. 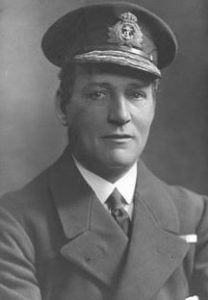 He married Hanna Innes Brent and had issue with her named Penelope (Vertner) and John. His son John was born in 1788 in Lancaster County, VA. He married Letitia Whiteman and had issue with her: Penelope, Eliza S., Duvall, Clarissa J., Benjamin W., John, Letitia, Matilda, and Catherine. 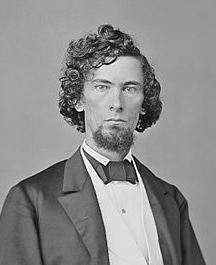 His son Benjamin W. Payne was born in 1828 and he married Elizabeth Warman. He died in Kentucky in 1866 AD. A family bearing this surname came to New England aboard the Increase in April 1635: William (age 37) and Anna Payne (age 40), husband and wife, who brought their four children named William, Anna, Joseph, and Daniell. Suzan Payne, age 11, came aboard the same ship, and assumedly, she was part of the aforementioned family. William Payne, age 15, came to New England aboard the Abigall in June 1635. Joseph Payne, age 14, came to New England aboard the Abigall in June 1635. Thomas Payne, age 23, came to Virginia aboard the Transport in July 1635. Elizabeth Payne, age 21, came to Virginia aboard the Assurance in July 1635. Robert Payne, age 21, came to St. Christopher’s aboard the Amitie in October 1635. Joseph Payne, age 18, came to St. Christopher’s aboard the Mathew of London in May 1635. Tobias Payne was buried in the parish of St. James, Barbados in July 1679. Robert Paine of Marrozion, age 29, came to St. Christopher’s aboard the Margarett in March 1633. John Paine was recorded as living in Virginia in February 1623. A family of this name came to New England in 1637, Thomas Paine of Wrentom if Suffolk, who was a weaver (? ), age 50, along with this wife Elizabeth and six children (Thomas, John, Mary, Elizabeth, Dorothy, and others). 5) Robert Paine of Ipswich who was born in 1601, likely from Suffolk, England, who married Ann, daughter of John Whiting of Hadleigh, and was a freeman in 1641. He was a representative from 1647-1648 and had a sizeable estate and was treasure for Essex County. He later married Dorcas. 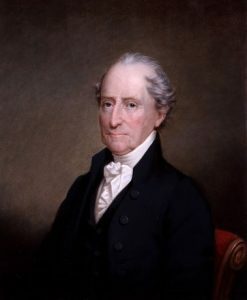 He left sons named John and Robert, one who attended Harvard College. 6) Stephen Paine, Hingham, 1639, from Great Elingham, near Attleburgh, county Norfolk, who was a miller. He came to the New World aboard the Diligent with his wife Rose, three children, and four servant. He was a representative in 1641 and moved to Rehoboth in 1645. He later married Alice, widow of William Parker. He owned a very large estate of land. 8) Stephen Paine of Charlestown or Malden, a freeman in 1665, who married Elizabeth and had a daughter named Mary in 1659, and was among tything men in 1679 at Charlestown. 9) Thomas Paine of Salem, a weaver from Wrentham, Suffolk, England who came in 1637 at the age of 50, aboard the Mary Ann of Yarmouth, with his wife Elizabeth and six children (Mary, Thomas, Elizabeth, Dorothy, John, and Sarah who were born between 1611-1622). He was the son of Thomas and Catharine of Cooklie, near Halesworth. He also had sons named Peter (1617) and Nathaniel (1626). He died in 1640. 10) Thomas Paine of Yarmouth, who was a representative in 1639 and moved to Eastham where he was a representative in 1671. He had issue named Eleazer, Thomas, Joseph, Nicholas, Samuel, Elisa, John, James, Mary, and Dorcas. 11) Thomas Paine of Boston, who in 1659, married Hannah, daughter of Thomas Bray of New Haven, had a son named Thomas in 1665. He was the son of Thomas of London and was born in 1632. 13) Thomas Paine, York, swore allegiance in 1680. 14) Thomas Paine of Dover, 1659, who was a constable in 1687. His will was dated 1694. His wife was named Elizabeth. He had issue named Thomas, Jane, Elizabeth, Catharine, and Ann. 15) Thomas Paine of Newport, 1683, who was a captain of a privateer and was a founder of the Episcopal church in Newport. 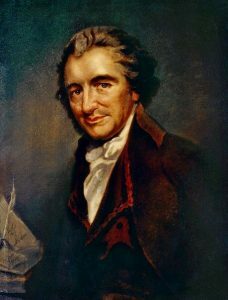 16) Thomas Paine of Boston, who came from Jamaica. In 1665, he married Sarah, daughter of a John Winslow, and had a son with her named William who was born in 1669. He died in 1669. 17) William Paine of Ipswich came in the Increase in 1635 at the age of 37 with wife Ann and children Susan, William, John, Ann, and Daniel. He was a freeman in 1640 and lived in Watertown, MA. He had a large estate and later moved to Boston where he died in 1660. 18) William Paine of Salem, Massachusetts who was a shoemaker by trade who came in 1635 aboard the Abigail at the age of 15. He was with Elizabeth, which was either his wife or mother. He had a grant of land in 1650. He died around 1660. 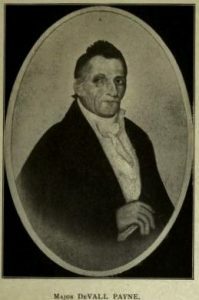 A one Jasper Payne came to Pennsylvania in 1743. In Canada, one of the earliest bearers of this last name was John B. Payne, who was born in Clonmel, Ireland and came to New Brunswick in 1784, where he served in the 17th Regiment Light Dragoons. In Australia, one of the first settlers with this surname was Henry Payne, a convict from Middlesex, England, who came aboard the Almorah in 1817, living in New South Wales (then a penal colony). In New Zealand, a one George Payne, age 29, came to Port Nicholson in 1840 aboard the Oriental, along with his wife Maria, age 22. 1) Argent (?) a bend gules (?) bet in chief a lion’s head cabossed and in base an eagle’s leg couped à-la-guise holding a torteau. In 1866 in the wall of 14 Beacon St. covered with earth. I could not find it in 1914. Edward Payne lived near by. Granary Burying Ground, Boston. Heral. Jour., vol. 2, p. 134. Bridgman Pilgrims of Boston, p. 69. See Paine Geneal., 1881, p. 73, where the grave is mentioned as William’s, but another coat claimed for Wm. Paine. 1) William Payne of Virginia, Lynchburg, around 1630. Gules, a fesse between two lions passant argent. Crest: A lion’s gamb couped argent grasping a broken tilting lance, spear end pendent gules. 2) John Payne of Leedstown, Virginia, around 1630, bore the same arms as William of Lynchburg. 1) WillIiam Payne or Payne of Ipswich, Massachusetts, 1635, son of William Paine, of Nowton, Suffolk, England. Arms: Argent, on a fesse engrailed gules, between three martlets sable, as many mascles or, all within a bordure engrailed of the second bezantee. Crest: A wolf’s head erased azure charged with five bezants. 2) Moses Paine of Braintree in New England, a gentleman, died 1643. Arms: Azure, on a bend gules three arrow-heads, between a lion’s head cabossed, and an eagle’s leg couped holding a torteau. There are hundreds of notable people with the Payne surname. This page will mention a handful. Famous people with this last name include: 1) Thomas Paine (1737-1809) who was an American Founding Father and political theorist, born in Thetford, Norfolk, England who was known for his pamphlet Common Sense which popularized the cause of Independence through the Thirteen Colonies, 2) Scherrie Ann Payne (1944) who is an American singer from Detroit, Michigan who was in The Supremes from 1973-1977, 3) Sally Payne (1912-1999) who was an American actress that started in around 35 B-Western films in the 1940s and was born in Chicago, Illinois, 4) Nicolle Katherine Payne (1976) who was an American water polo player from California who won a silver medal in the 2000 Summer Olympics, 5) Marise Ann Payne (1964) who is an Australian politician that was a Liberal Party Senator for New South Wales and also the Minister for Defence starting in 2015, 6) Liam James Payne (1993) who is an English musician from the famous pop boy band One Direction, born in Wolverhampton, England, 7) Keith Payne (1933) who was an Australian recipient of the Victoria Cross for his service in the Vietnam War who was born in Ingham, Queensland, 8) John Payne (1871-1942) who was a New Zealand politician who was the New Zealand Parliament for Grey Lynn and was born in Manchester, England, 9) Saint John Payne (1532-1582) who was an English Catholic priest and martyr born in Petersborough, and 10) John Willett Payne (1752-1803) who was an officer in the Royal Navy who was a close friend and advisor to Prince George and served in the American Revolution and French Revolutionary Wars, as well as a Member of Parliament for Huntingdon. One of the most frequent symbols in the Payne Coat of Arms (erroneously called the Payne Family Crest) is the lion passant. There can be no animal more clearly associated with Heraldry than the lion, majestic King of the Beasts. Originally it appeared only in one pose, erect, on one paw, with the others raised but such was the popularity of this figure, and the need to distinguish arms from each other, that it soon came to be shown in an enormous range of forms. The lion passant is an example of these modified form, showing the creature on all fours, as if walking proudly. In common with all reprensentations of the lion it can be taken to be an “emblem of deathless courage”.